It is the start of October and the leaves are just beginning to turn colors here in northern Illinois. Fall is my season! 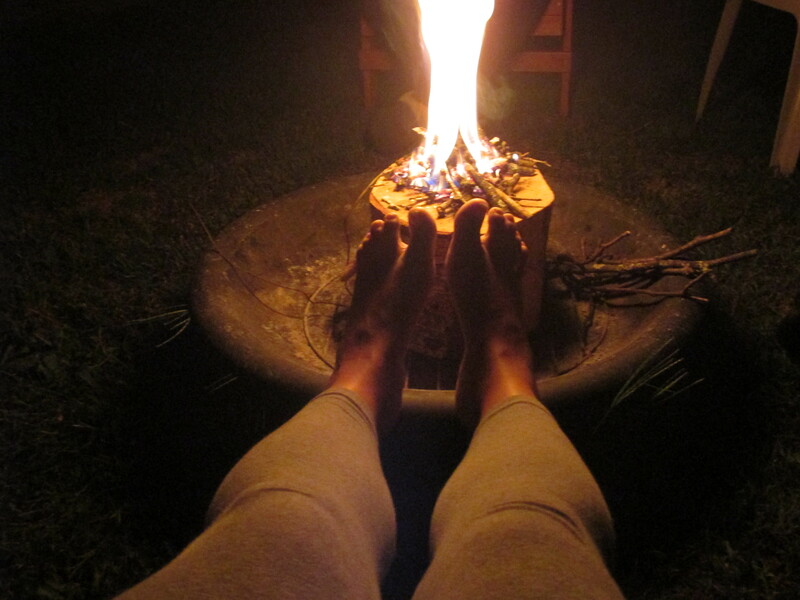 I love those chilly nights when you grab that extra blanket out of the closet, those first cozy uses of the fireplace, the campfires, warming recipes in the crockpot, and of course Halloween! And, what better than a good book to read as the days get shorter, cooler and that spooky holiday nears? I’m inspired by interactive fiction. That is why my book Venice allows the reader to decide at the end of each chapter, what they will see and do next (read more here). So what will I be reading as All Hallows’ Eve approaches? 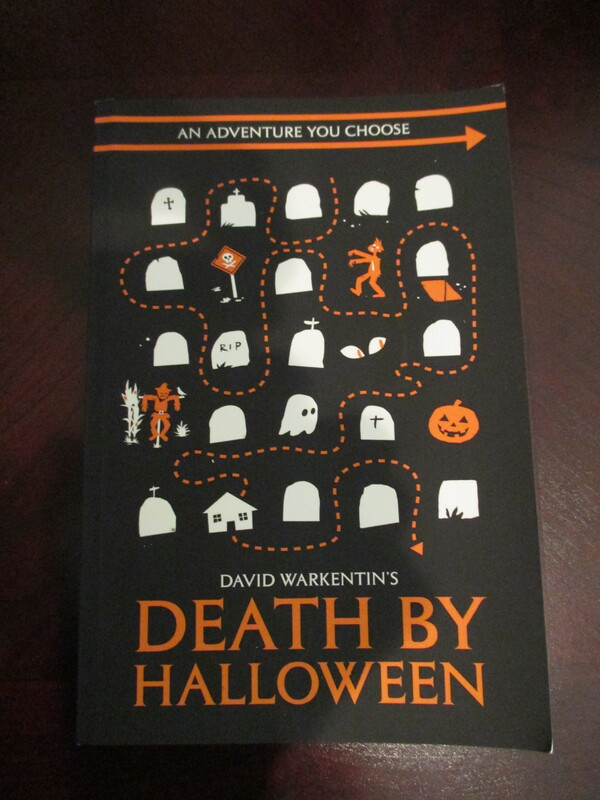 Death By Halloween by David Warkentin. This is “an adventure you choose”, just like Venice. However, I must warn you, this book is for mature readers (adults). It’s crreeeeppppy. I’ve read a few of the paths already and I got super nervous every time I had to turn a page (which is hilarious because I was sitting on the beach on a sunny day). I got goose bumps…and grossed out too (just depends on what route you select). In a way, I feel like Warkentin’s book is a gift to adults who have forgotten just how fun Halloween was when they were a kid. It allows you to get into the spirit once more! Now, as I said, I wouldn’t recommend the book above for the wee folk. But they need some interactive fiction fun too! 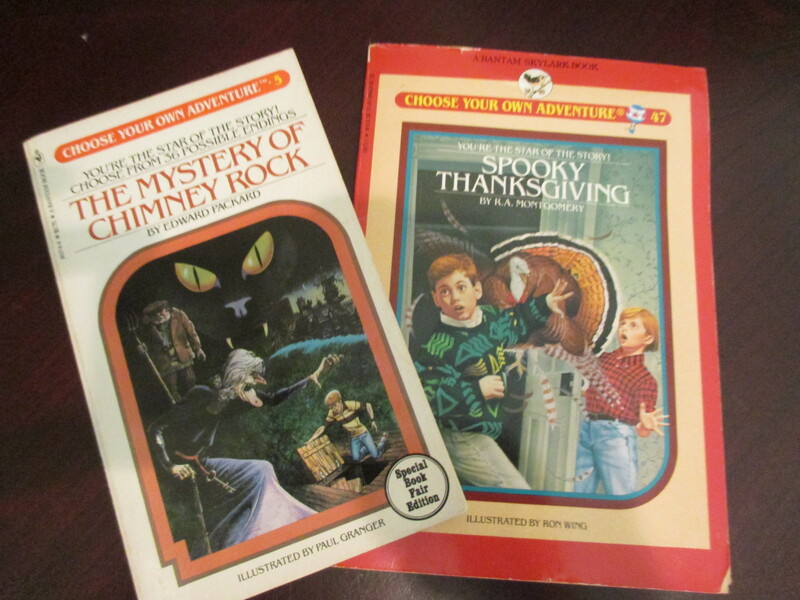 I suggest ordering some vintage Choose Your Own Adventure books, such as The Mystery of Chimney Rock by Edward Packard…or embrace the season with Spooky Thanksgiving by R.A. Montgomery. And if they are really little, I suggest Jack Prelutsky’s It’s Halloween. Oh, memories! I had this book on tape cassette when I was knee-high to a grasshopper and still have it memorized in my Halloween loving, wacky brain. Listen to it here. 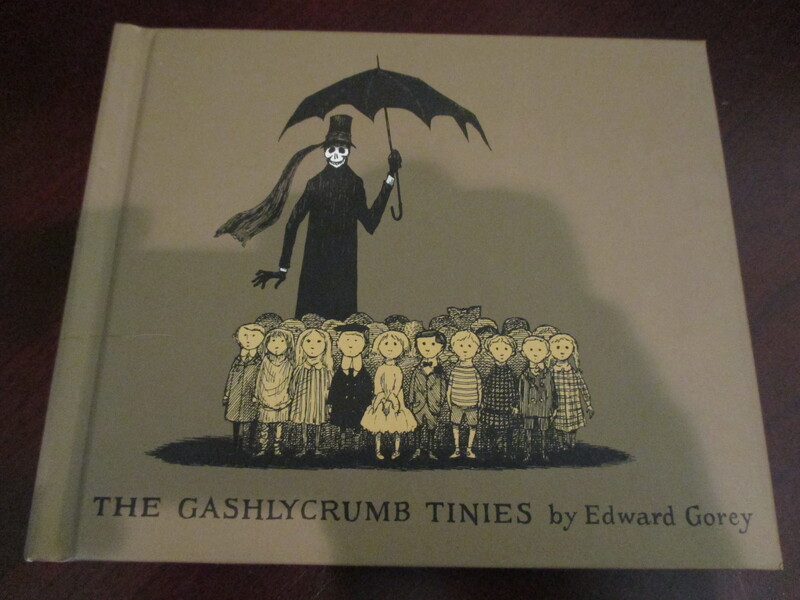 Back to adult reads, if you like art as well…may I suggest the illustrated book The Gashlycrumb Tinies by Edward Gorey? He is my favorite artist and just about the creepiest storyteller and illustrator. When I was a little girl, I used to watch a program called Mystery with my grandmother. She’d pop homemade popcorn in the skillet and had a hidden stash of Squirt and grape Crush at the back of the closet that we’d pour over ice (a rare treat). And oh, my, goodness…I was entranced by the opening introduction for the program by Edward Gorey. You must watch them (here & here). For years, I’ve sent Edward Gorey holiday cards to my friends and family…because nothing says Christmas cheer like a creepy Gorey sketch. 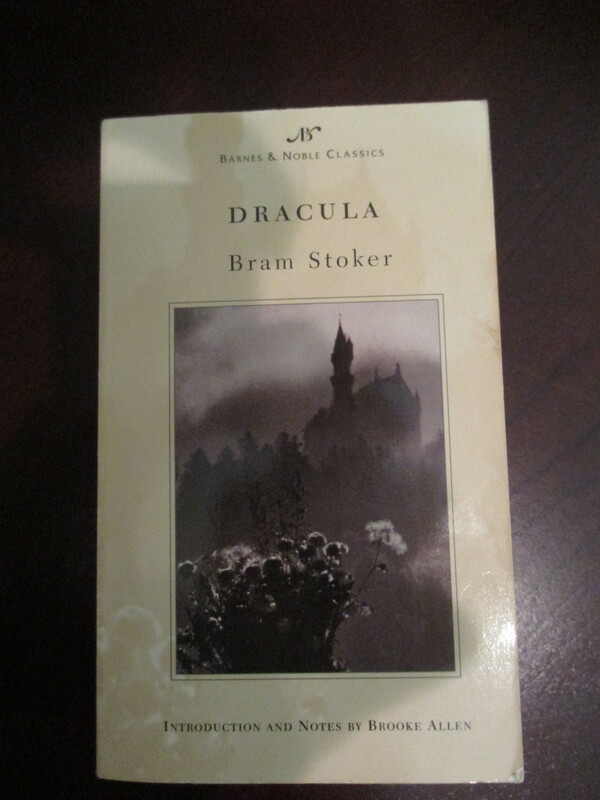 But if you’ve got the time for a longer classic, I’d say go for Bram Stroker’s Dracula. I’m nuts for Francis Ford Coppola’s movie version. However, the book is a little different from that adaptation and mesmerizingly written. Published in 1847, it was ahead of its time, a truly innovative and terrifying read. This entry was posted in Books, Fun & Friends and tagged Books, Bram Stroker, Campfire, Choose Your Own Adventure, David Warkentin, Death By Halloween, Dracula, Edward Gorey, Edward Packard, Francis Ford Coppola, Halloween Books, It's Halloween, Jack Prelutsky, Mystery, R.A. Montgomery, Spooky Thanksgiving, The Gashlycrumb Tinies, The Mystery of Chimney Rock. Bookmark the permalink.